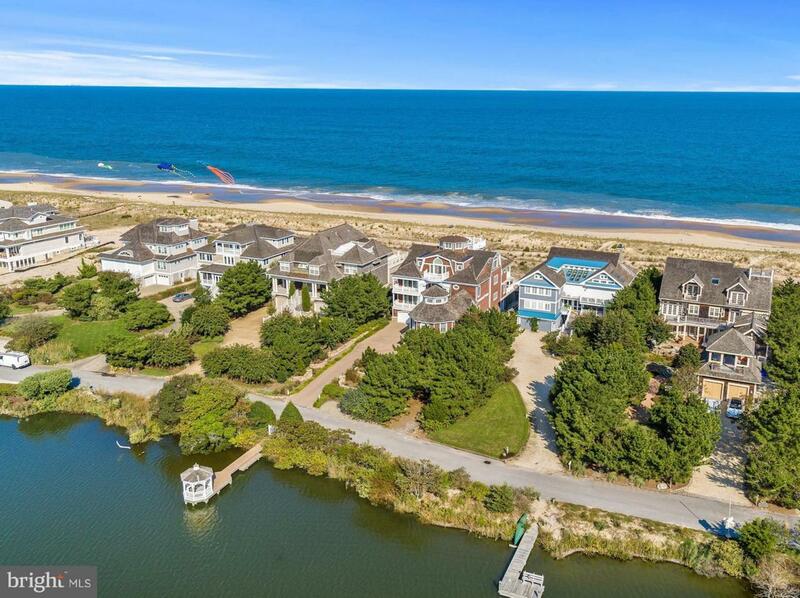 One could describe this exquisite Rehoboth Beach home with its one of a kind location and private beach, as a majestic masterpiece. 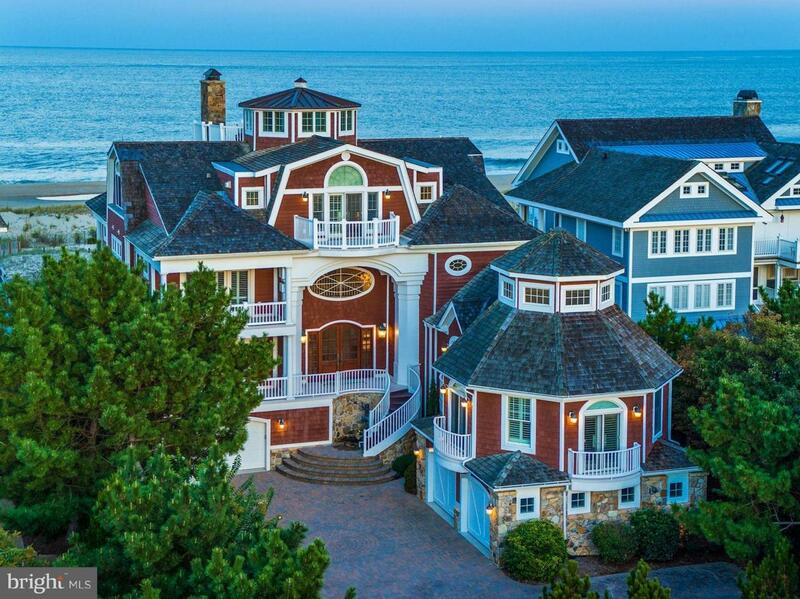 Arguably one of the best lots on the East Coast, this oceanfront home's captivating views of both the Atlantic Ocean and prominent Silver Lake are rare jewels. 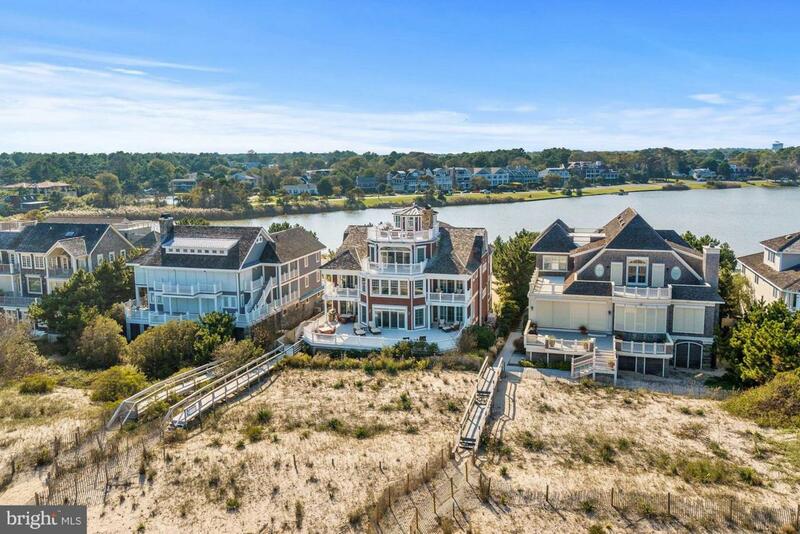 While just one block from the boardwalk, this astounding home is accessible by a private drive and offers one of the last deeded private gazebos on Silver Lake. With over five levels of living space encompassing 8,871 square feet, all accessible by a private elevator, the six bedroom, seven and a half bath home features unparalleled quality created with the finest finishes and details one can only dream about. No expense was spared or overlooked during the construction process with custom inset cabinetry completed by Paradise Custom Kitchens and exotic granite and marbles. With a thoughtful design to allow every room to offer stunning views from the numerous private balconies, family and friends will feel pampered in the en-suite guest rooms, each featuring their own outstanding details. The grand two-story foyer is truly breathtaking with its curved butterfly staircases, extensive trim detail and direct views of the great room with stately floor to ceiling stone gas fireplace, soaring ceilings and sliding glass doors open to the sea breeze and expansive main level deck. Experience fine dining in the sumptuous gourmet kitchen with separate islands, dual sinks and dishwashers, Wolfe gas range, an illuminated oval tray ceiling, and custom mural. Your dining options are truly endless with ocean views in the dining room just off the kitchen or lake views in the breakfast room with vaulted ceilings. The octagon shaped media/game room with its 125" projection screen and built in surround sound allows you to enjoy serene sunsets on Silver Lake and a movie just after dark. The third level is host to another grand foyer with two oceanfront bedrooms, one lake view bedroom, and a spacious laundry room/linen closet. A private staircase leads you to the tranquil owner's suite boasting panoramic views of the morning sunrise and the sounds of waves crashing. Wake up and enjoy coffee from the conveniently located wet bar complete with sink and refrigerator. This level is complete with a relaxing sitting area overlooking the lake, plus an exercise room and luxurious master bath with jetted tub, dual vanities, separate toilets, and soothing shower. The retreats understated elegance is quite appealing. Another highlight of the master bedroom is the staircase to the 360 degree view Observatory. Watch the sunset as the stars come to light while sitting on custom window bench seats in the Observatory or step outside to the rooftop deck and enjoy the astonishing view.After a relaxing day on the beach, walk into the lower level with two separate showers and laundry room. Additional features include a four car garage; custom closet organizers throughout, whole house audio, rear staircase, security system, storm protection shutters, and whole house generator. Experience the ultimate in coastal luxury and a rare opportunity to purchase an extraordinary Silver Lake property.